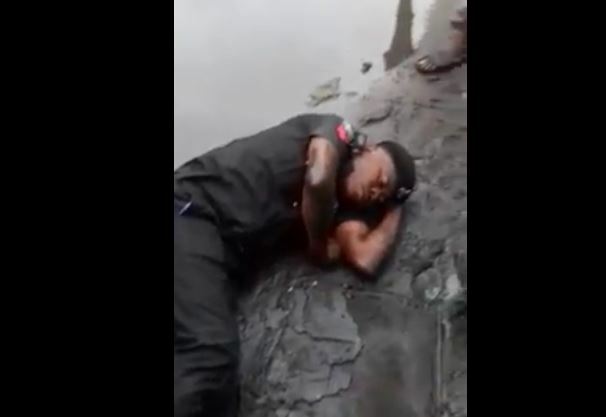 The calibre of men being recruited to serve in the Nigeria police is on the low side as revealed in this disturbing video of a drunk policeman ridiculing himself by sleeping in the mud. 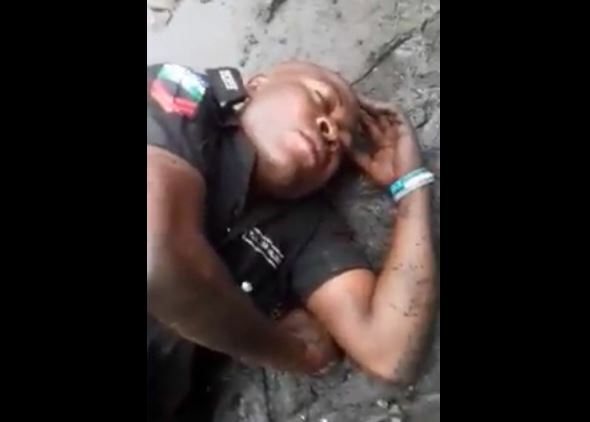 According to PoliticsNGR, the video was taken by some youths after the officer was found stumbling after getting himself drunk. Some said he probably might have serious family issues at home and drank himself to stupor so as to forget his worries.